BRUSSELS – Hail, frost and droughts have hit Europe’s grape harvest hard, making it the smallest in 36 years. The quality of the wines, though, is expected to be excellent. The European Union’s Copa-Cogeca farm union said Tuesday that the extreme weather means the harvest is expected to be down 14 percent, with some areas seeing a drop of as much as one third. 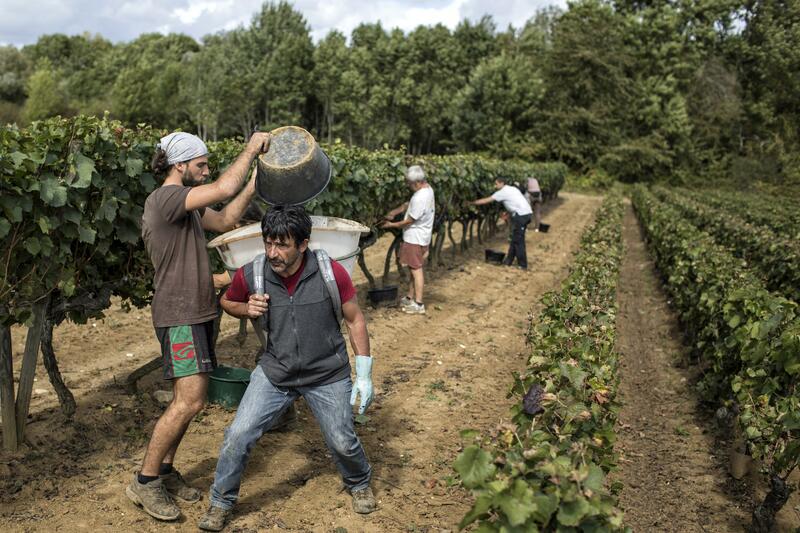 That will cut wine production to a level not seen since 1981’s 145 million hectoliters. The European wine grape harvest has an automatic impact on the global wine market since EU production accounts for some 60 percent of worldwide output. The two biggest producers, “France and Italy were particularly badly affected,” said Thierry Coste, the chairman of Copa-Cogeca wine division. In France, production will be down 18 percent, and in Italy, the biggest wine producer in Europe, it will have sunk by 26 percent compared with last year. Sicily was hit by a decline of 35 percent. “The quality of the grape is nevertheless expected to be very good across Europe, which should make for an excellent wine,” Coste said. The combination of good wine and lower quantities means that “prices are also likely to rise,” he said. During the 1980s, record wine production often hovered around the 210 million hectoliter mark. An industry preference to make less but better wine and a need to cut subsidies based on bulk has led to lower yields since then. Extreme weather and climate change have further affected output in certain years. Nowadays, wine production almost never surpasses 170 million hectares a year, although this year’s estimate is particularly low. Published: Oct. 10, 2017, 1:56 p.m.